When you visit the Minnetonka location you will notice storefront construction. 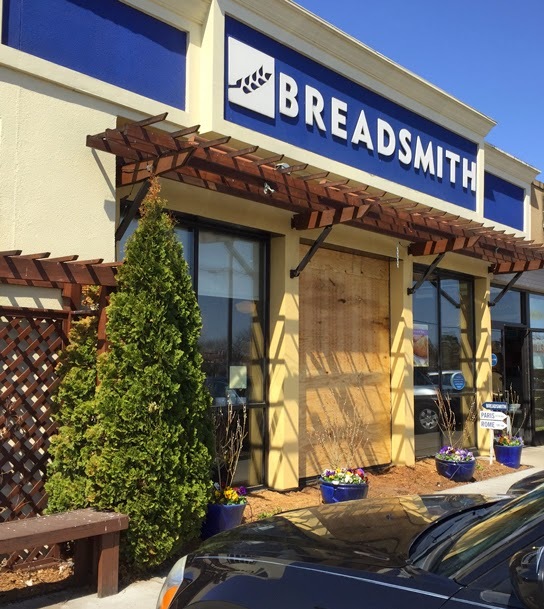 Damage was caused recently when a vehicle impacted the front of the bakery. We are happy to report that no significant injuries were reported at the time of the incident. Workers responded well, clean up was done and temporary repairs were made. Look for full repairs to be accomplished in the coming days. Until then we look forward to seeing you, providing daily breads and sharing stories about strange happenings—we've all had them!